Al Gore is not your typical politician. Approaching 65, he still comes across as something of the Tennessee country boy: open, candid, earnest, optimistic, believing the best of people and uncomfortable as a critic. That’s my impression now, watching him in an Australian television interview, just as it was on a warm Saturday in November 2006, when I sat down in Sydney with 150-odd other Australians to hear what this unlikely film star had to say on the state of the planet. On that occasion, before getting down to business Gore asked if one of our number could say a prayer for the success of the venture we were all embarked on: to carry his message about global warming to the Australian public. It came as a surprise to many in his audience, me included. This was Australia, after all, where matters pertaining to God are private affairs, not to be shared with one’s neighbour. There was an awkward silence before a young man, describing himself as a fugitive from a bible school, managed to avoid any mention of God in a short, eloquent, all-embracing statement about our stewardship of the planet. Then we got down to business. We shouldn’t have been surprised. Al Gore was raised in a political and farming family in the United States, where religious belief is part of the furniture. In retrospect it’s clear that to him, religious conviction and concern about Earth’s natural environment are one and the same. Back in 2006 the movie An Inconvenient Truth brought Gore’s message about climate change to a global audience. It made him an instant celebrity, and having met him, his Australian “ambassadors” were able to bathe in a little reflected glory. Ah, those heady days. That warm afterglow has long vanished. 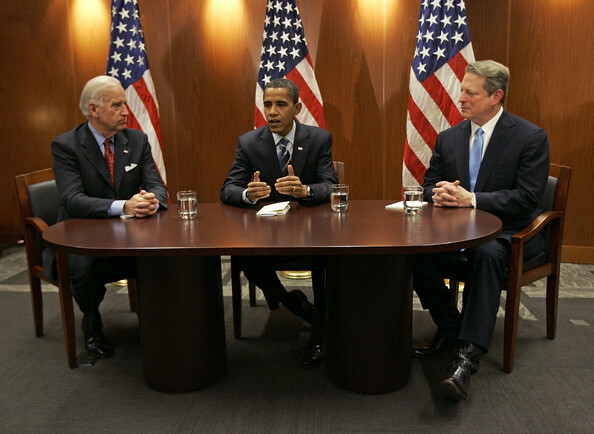 Gore hinted in his film that fossil-fuel interests would seek to negate his message that humans were changing climate. On cue, these interests began branding him a liar and a fraud, claiming his movie misrepresented science. They even sought to suppress it. In hindsight, Gore’s linking of climate change with extreme events may have been simplistic, and he might have done better not to have talked of several metres of sea-level rise (unlikely to happen this century though we’re doing our best to bring it forward). But despite their loud claims, his enemies failed to nail any error of substance in his account of the science. His basic message holds: our carbon emissions are destabilising the climate, raising sea levels, damaging our food production capacity and threatening the viability of many species, including us. His enemies have succeeded in one thing: they’ve shown that Gore over-estimated our capabilities in addressing the threat. He said in An Inconvenient Truth that to fix things, all that was needed was political will. He didn’t anticipate then how political will might crumble under relentless attack. After some early promise, the momentum for measures to cut emissions stalled as international talks failed, first in Copenhagen in 2009 and then in Cancun, Durban and Doha. In his own country, climate became a no-go zone for politicians, and it rubbed off elsewhere, including Australia. But apparently undeterred by such setbacks, Gore soldiers on. Last week, discussing his radical new book, The Future: Six Drivers of Global Change, he told Emma Alberici on ABC-TV’s Lateline that dealing with the “climate crisis” would help us get a handle on other critical changes. Each of those other changes — the globalised economy of “Earth Inc”, the growing “Global Mind” of internet culture, a power shift away from the United States, unsustainable consumption and genetic manipulation — is a huge, unprecedented challenge in itself. While he sees President Barak Obama’s commitment to climate action in his inauguration speech as “bold and salient”, “much more is needed”. China’s bad news was a new coal plant every 10 days, but a cap-and-trade system and big spending on solar and wind power, fast trains, smart grids and other renewable technologies reflected a renewed commitment from new president Xi Jinping. Prime Minister Julia Gillard’s climate policies showed “courage and vision”, Gore said. “I think that Australians may look very carefully at the progress that has taken place and also at the powerful evidence that the climate crisis is having a very harsh impact on Australia. As for Tony Abbott’s “direct action plan” to plant trees and provide incentives to farmers and businesses to cut emissions, “it didn’t work here [and] it hasn’t worked anywhere”. As a politician Al Gore aroused passions both positive and negative, but in his latter-day role as a passionate advocate for Earth’s natural systems he brings to the table a thoroughly admirable — and very un-political — candour. Though I can’t share his optimism, I am in awe of his sweeping vision for our future, and his unrivalled commitment to the toughest cause of all. Whatever his opponents may say about him, they know that to be true. May his God give him the strength he needs to prevail. This entry was posted in atmospheric science, Australian politics, book reviews, carbon, carbon emissions and targets, changes to climate, climate politics, Climate Project, climate system, consumption, contrarians, economic activity, education, environmental degradation, future climate, growth, international politics, leadership, public opinion, science, sea level, social and personal issues and tagged Al Gore, An Inconvenient Truth, atmospheric science, Australian politics, book reviews, Cancun, carbon, carbon emissions and targets, changes to climate, climate politics, Climate Project, Climate Reality, climate system, consumption, contrarians, Copenhagen, Doha, Durban, economic activity, education, Emma Alberici, environmental degradation, future climate, growth, international politics, Julia Gillard, leadership, public opinion, science, sea level, social and personal issues, Tony Abbott. Bookmark the permalink.